A £2.4 million Watermains Improvement Work is getting underway in Lurgan - and is set to run until March 2020. This £2.4 million investment in the wider Lurgan area was described as ‘good news for customers as the upgraded watermains will improve the quality, reliability and security of the local water supply, while reducing leakage and improving pressure in the area’. An NI Water spokesperson said: “The work will involve improving approximately 19km of watermains throughout the Lurgan area, initially focusing on the Silverwood Estate for the first six months of this programme. “The overall schedule of work will then progress throughout the wider area until March 2020. “NI Water and our contractor Meridian Utilities would like to thank the public for their patience and cooperation while we complete this essential programme of work and we will do everything possible to keep any disruption to a minimum. The customer relations team can be contacted via Waterline on 03457 440088. Customers with any questions on the scheme should quote ‘Meridian Utilities Water Mains Rehabilitation Programme’. 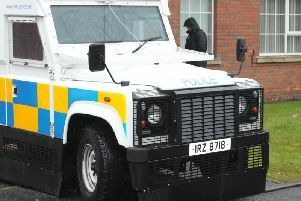 DUP MLA Carla Lockhart said: “This is good news for the whole area. Sinn Fein’s John O’Dowd said: “I welcome this investment into the local area which will go a long way to improving and upgrading the watermains infrastructure across the Lurgan area.